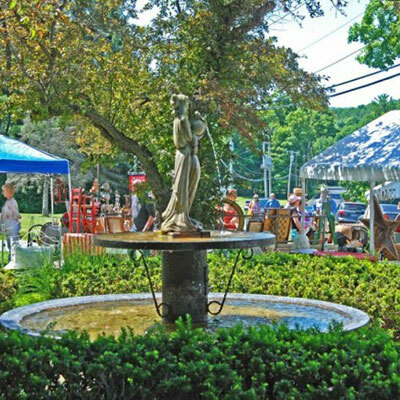 The 4th Annual Garden Market on the Green will offer rare, unique, and unexpected garden themed merchandise by local nurseries, vendors, and craftspeople – all at affordable prices. There is a White Elephant Tent of donated bargains and vintage merchandise from antique dealers. Dine under the trees on the Spencertown Green. The Black Forest Flammkuchen Truck will be on hand serving delicious Bavarian pizza. See a list of vendors who will be at the market.